New Hampshire is not a community property state where each spouse has a 50 percent ownership in all marital property. Rather, the court is charged with dividing all of the property owned by both spouses equitably. This includes property the couple brought into the marriage, inheritances and gifts. The court is under no obligation to make the division equal, but must divide the entire estate according to the equities of the circumstances after considering such factors as the length of the marriage, the age and income of the spouses, and any fault established in the divorce. 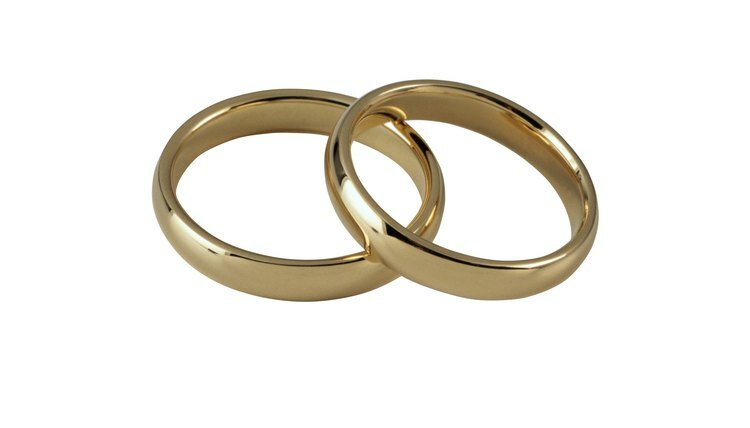 In community property states, rings given before a marriage are sometimes considered the separate property of the person receiving the ring rather than property subject to division in a divorce. Some courts evaluate them as conditional gifts that become the absolute property of the receiving spouse upon marriage. In New Hampshire, however, divorce courts divide all of a couple's property in an equitable manner, not just the marital or community property. Thus the award of the rings depends on the total property owned by the spouses and the other factors set forth in the state's property division laws. Law Offices of Claery and Green: What Happens to an Engagement or Wedding Ring During a Divorce or Break-up? The New York Times: If Things Fall Apart, Who Gets the Ring? When a marriage ends, each spouse has certain rights during the divorce process. With no consideration of gender, Florida courts will divide the spouses' property between them. Either spouse can seek alimony and either spouse may be awarded custody of their children as well as child support. Florida does not require grounds for dissolution of marriage so either spouse can file based on "irreconcilable differences" as long as at least one of them has been a state resident for a minimum of six months.